LiveU: SNG bonded video uplink solution. Hackensack, NJ, March 22, 2013 – LiveU (www.liveu.tv), the leader in portable live video-over-cellular solutions, is demonstrating its complete integrated Xtender antenna solution for SNG (satellite newsgathering) and ENG (electronic newsgathering) trucks that complement existing satellite connectivity and dramatically improves cellular reception, bandwidth, resiliency and latency in every scenario. Based on LiveU’s fourth-generation bonded uplink technology, the integrated solution offers broadcasters the flexibility to use cellular connectivity as part of their existing SNG and ENG trucks, bonding cellular and satellite connections for the ultimate live video performance. Combining LiveU’s LU-Lite encoder on a 1RU rackmount together with LiveU’s powerful Xtender antenna, the solution adds six 3G/4G LTE network connections and is optimised for all emerging 4G LTE implementations worldwide. 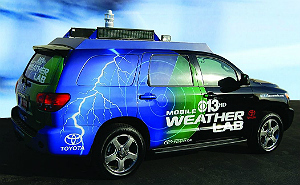 The solution will be displayed for the first time at NAB 2013, mounted on KOVR-TV’s (CBS Sacramento) weather truck, in the NAB Outdoor/Mobile area at the E-N-G Mobile Systems booth #OE820. 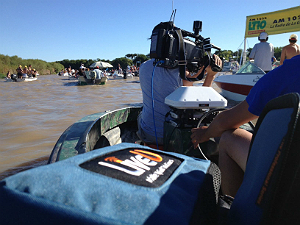 Telefe, Argentina's highest-rated television network, recently utilized the LiveU Xtender from a moving boat, while covering an “Open Waters Marathon” Santa Fe - Coronda on February 3rd, 2013. According to Telefe's Technical Director of Channel 13 of Santa Fe, "The Xtender more than doubled the amount of bandwidth we would typically get in that location, and gave us consistent transmission in a very congested area, where normally we would have difficulties obtaining a good cellular connection. The Xtender is a game-changer in such environments." LiveU owns the patent for cellular bonding in the US and other countries. All LiveU products are based on this fourth-generation patented technology. LiveU is presenting its full range of live video uplink solutions at the 2013 NAB Show®, April 8-11, at the Las Vegas Convention Center, booth #SU5511.